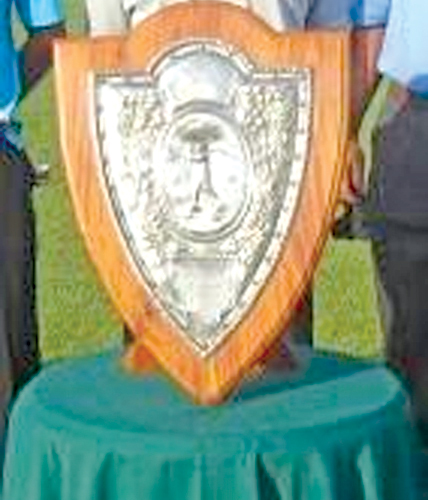 The 107th edition of the prestigious Shakspeare Shield Golf Tournament will be worked off at the spectacular Royal Colombo golf course on July 8 morning, with tee off at 7.00 a.m. Considered as the oldest standing corporate competition board event of the Royal Colombo Golf Club (RCGC) the tournament is sponsored by the Carson Cumberbatch PLC from the inception in 1911. The annual tournament will conduct in stable-ford format open only to RCGC members and teams from registered companies, the Diplomatic Community, Government Departments, Armed Forces, Police and service organisations. Already 50 players in 25 two-member teams representing 24 institutions have been lined up for this year’s competition and some of the top level golfers in the country will be seen in action during the tournament. Known to be one of the most looked forward golfing events in RCGC annual calendar with a proud history, this year’s Shakspeare Shield too will see some tough contest for the prestigious title. Last year’s edition saw Madura Amarasinghe and Chanaka Perera representing Revognah Leisure emerged overall champions and walked away with the Shakspeare Shield with a score of 37 while Harsha Abeywickrema and Suhayb Sangani representing Brandix secured the runner-up position. The Shakspeare Shield was named after a keen golfer and a RCGC member Walter Shakspeare who was elected to the RCGC committee in 1908. He initiated the first foursome competition for private companies, banks and state institutions which has been a novel competition that went on to become very popular later.